Does your company have a group of people folding and stuffing envelopes at a table or break room? Are you dedicating time for monthly statements, invoices, promotions on a weekly or even monthly basis? EZ Mail provides the best quality folders and folder inserters on the market. Thousands of documents can be completed in under an hour with a clean, professional fold. With today’s fast paced world, who has time for one person let alone a group of people to dedicate hours of their time folding and stuffing? Let EZ Mail help; we welcome an opportunity to assist you in selecting the folder inserter that is right for you. 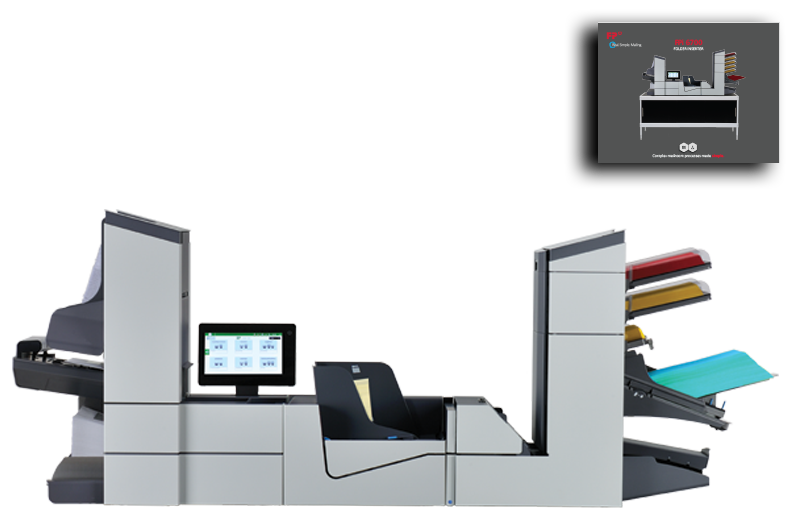 Our folder inserters have document control to ensure what goes into the envelope is meant for that envelope and keeps the privacy of that piece. Multiple pages? Barcode recognition? No problem! We will make sure all pages are accounted for and in order. One machine can save thousands of dollars a month on wasted time sorting, folding, inserting and collecting. Give us a call today at 815-782-6101 and start saving now! !